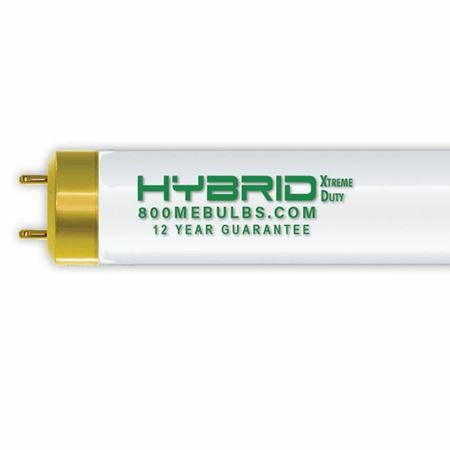 MEBULBS 4’ T8 fluorescents have an Xtreme Duty™ design and are guaranteed to last up to 15 years. Residential lamps have many common problems. They can be dim, cause glare, and result in eyestrain. 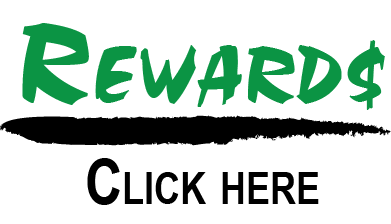 They can have high mercury content, which is bad for the environment. They are short life design, which wastes natural resources and results in high labor costs to keep changing lamps. Residential lamps are built with Bare Cathodes, which causes end blackening. This can result in up to 40% light loss. Residential lamps have excess mercury, averaging up to 15 milligrams per lamp. Residential lamps have short-life phosphor, which is dim, loses brightness quickly, prove yellow harsh light, and causes glare and eyestrain. MEBULBS Xtreme Duty™ lamps solve these problems. They feature Cathode Shields, which prevents end blackening and helps maintain 95% brightness. They feature Mercury Release Capsules which provides a very low dosage of only 2 milligrams per lamp; 70% less mercury than average. They feature Extended Life Phosphors (ELP™) which is up to 57% brighter than new standard lamps, or up to 161% brighter than old, used lamps. Extended Life Phosphors also start brighter and stay brighter, are whiter, and provide more accurate colors which results in improved visual comfort. In addition, Xtreme Duty™ lamps feature Double-Tungsten Cathodes, triple-wound for long life, and have extra emitter for more starts. They also have Silicone Coating for better starting. They have Alumina Oxide coating which allows reduced mercury content without shortening life. They have Tin Oxide coating for stronger glass. Residential lamps can burn out in as early as 6 months. 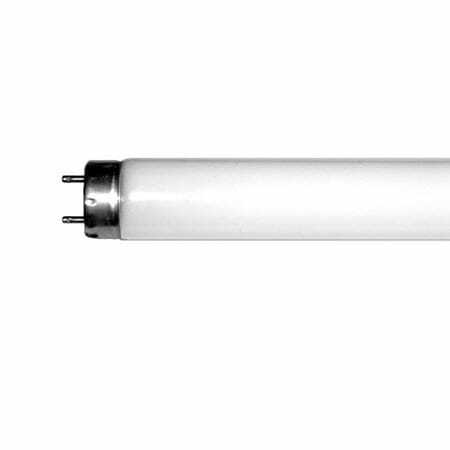 MEBULBS Xtreme Duty 4’ T8 fluorescents are guaranteed up to 15 years for commercial industrial applications.